Custom car and truck builders love the simple style of a smooth steel wheel. 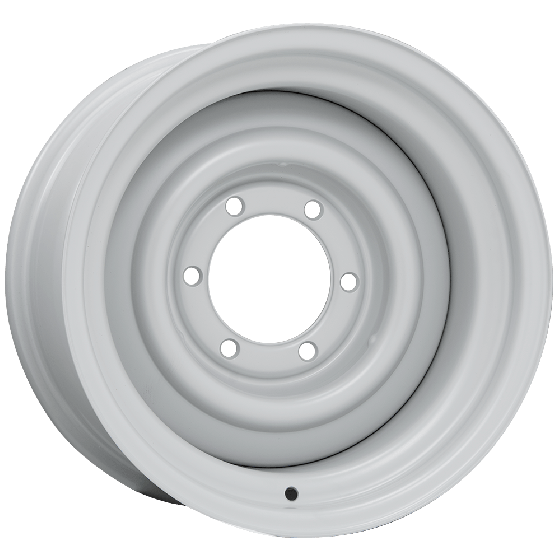 Our Steel 17 inch Smoothie Wheels are also available in 14- through 18-inch sizes in many popular single and multi bolt patterns. The Smoothie wheel is made in the USA and accept a wide variety of optional caps (accessories sold separately). 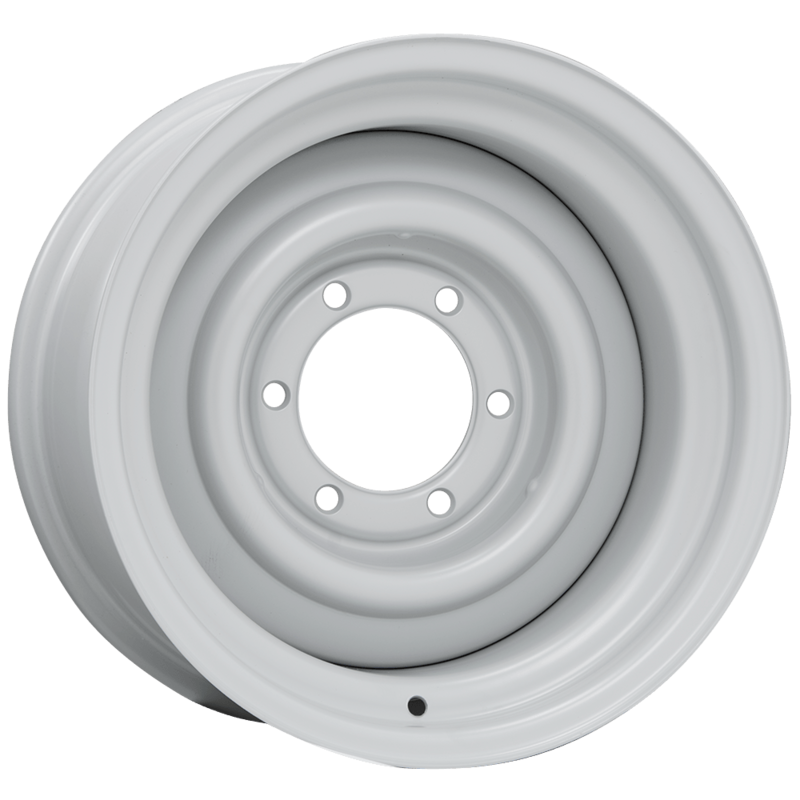 The wheels ships with a quality ready-to-paint primer finish. These popular wheels are also available in chrome outer/primer center and full bright show quality chrome finish. What style of hubcap works with this wheel? What is the outside diameter of the ridge where the hubcap fits? This wheel is compatible with 7" diameter caps, available here. Powder coating is $55 per wheel and adds 2-3 weeks processing time on in-stock wheels. Call us anytime a 1-800-251-6336 to place your powder coat order.